(For example,) to create an ear, the printer lays down a pliable, porous scaffold made of hydrogel, a kind of polymer. The scaffold is covered with skin cells and cartilage cells, which grow and fill in the ear-shaped form. 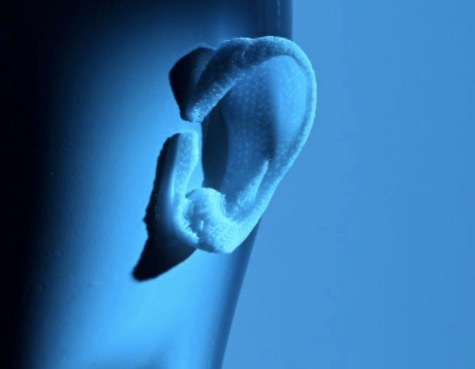 The hydrogel eventually biodegrades; after about six months the ear is composed entirely of human cells.